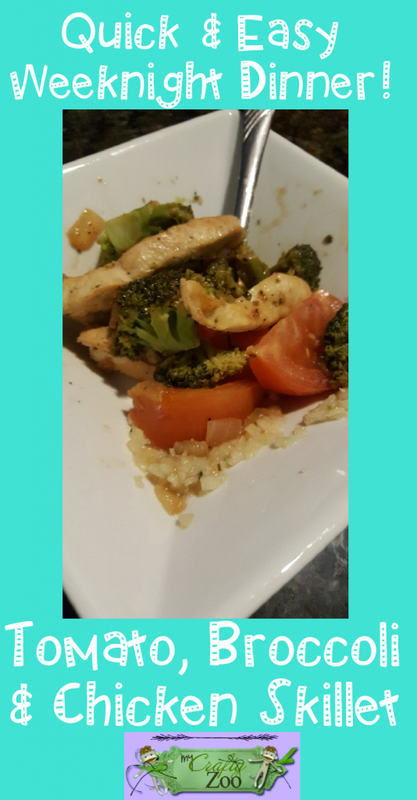 Broccoli, Tomato & Chicken Skillet: Super Easy Healthy Dinner! 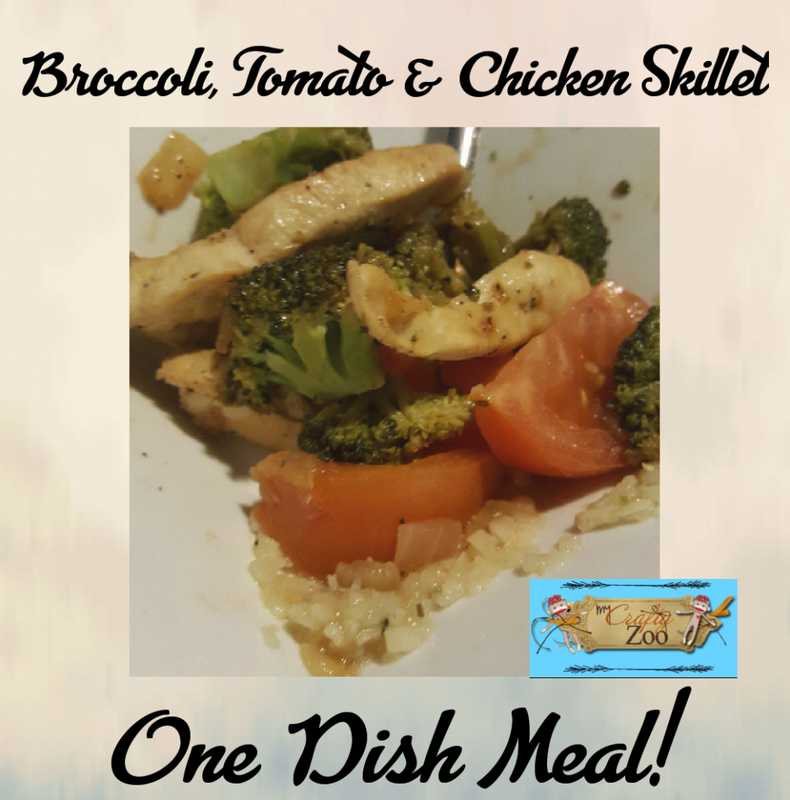 This Tomato, Broccoli & Chicken Skillet is the perfect weeknight dinner! One dish, healthy, & an easy cleanup! Just what we need for those busy days! I don’t know about you, but some nights I am just not in the mood to make a huge, time consuming meal. I need something quick and simple that tastes great! This recipe fits the bill perfectly! Broccoli, Tomato & Chicken Skillet is the perfect recipe when you want to feed your family a healthy meal without a ton of time! From prep to plate in 15 minutes! It’s a recipe that’s a keeper in my book! We do paleo (or try to), so we added cauliflower rice but you could use regular rice or none at all. After making it, I realized it would have been perfectly fine without any additions at all. If you know you are gonna have a night where you won’t have time to prep, (game nights, perhaps?) you could easily prep everything ahead of time. It would cut your meal time on the day you cook it to less than fifteen minutes! I like to cook it in my cast iron skillet, as with those you literally just have to wipe it out with a damp cloth when you are done! I didn’t learn until I was grown that you aren’t supposed to completely wash cast iron! Now we have well seasoned skillets! Cut chicken breast in half, then slice them into 1/2 inch wide strips. In skillet, cook chicken and onions in butter til chicken is no longer pink. Stir in broccoli, lemon juice, salt (if using), thyme, oregano and pepper. Stir, then add tomato wedges. Obviously, this recipe is super simple and anyone could easily make it pretty quickly. I love that cleanup is super easy too! What are your favorite simple weeknight dinners? I’ll take all the suggestions I can get!